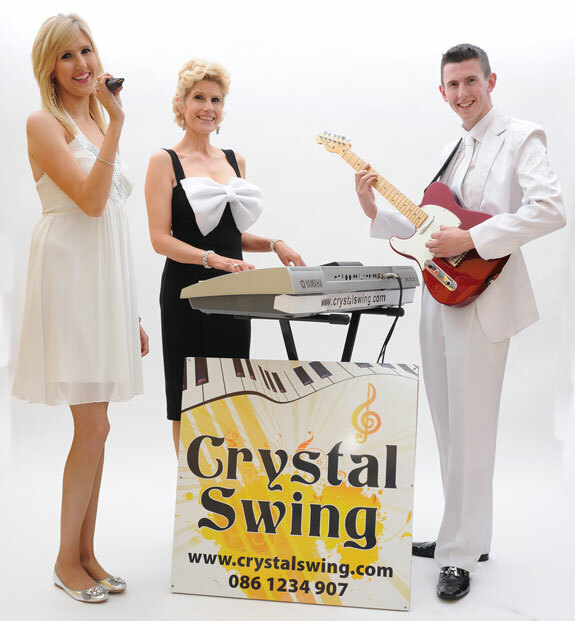 Crystal Swing is now established as one of Ireland's top Wedding Bands and, due to the high level of wedding entertainment enquiries we receive, we have created this web page to give you an idea of what we can provide for your special day. We don't have a specific set list for weddings as guests' tastes in music differ but we do ensure that every guest at your wedding enjoys our performance as we provide something for everybody. From experience, we can gauge the reaction of your guests after the first few songs and then tailor our music accordingly to suit all age groups from the youngest to the oldest. People are up and dancing immediately from the first song to the last and we keep the sound volume at a comfortable level to allow your guests to chat in comfort and yet enjoy the entertainment. It's a very relaxed but high energy and entertaining performance with easy listening to cater for those who might choose to sit back and listen as well as those who choose to dance. Good sound is a priority with us so our sound system is very high spec. Usually, the couple choose the song for the first dance and may play their favourite artist on a CD through our sound system if they really love a specific singer. This works very well as nobody can sing your best loved song like your idol. If the couple prefer, we can sing for the first dance live from a selection of well rehearsed, popular songs. All three of us sing, thus providing variety in our repertoire, which is very popular at our weddings. Dervla has a big voice and can sing any style with a huge range of songs including gospel, modern and pop numbers that appeal to both younger and older members of the audience. Derek is the fun guy with all the moves and has all the women in the palm of his hands from the get-go! He does the Rock n' Roll and Showband numbers and many more big hits from the 60's, 70's and 80's, right up to today's favourites. He literally jumps onto the dance floor and interacts with all the guests. The place will erupt when he dances the Hucklebuck! Mary caters for the older guests with some great waltz numbers and sing along medleys that everybody knows. We have a varied repertoire including fun dances such as the very popular Siege of Ennis and of course all our own hits including 'He Drinks Tequilla'. 'Time To Swing With Crystal Swing', 'Sun Still Shines', Hucklebuck is Back', 'Happy Days', 'Livin la Vida Loca', 'The Hucklebuck' and much, much more. Due to the fact that most couples choose to keep our performance a surprise, we like to come in early in the day to set up and ensure everything is right so that your guests see us first only when we're about to begin. Our show has variety and energy delivered through a top-of-the-range sound system that will guarantee you the best entertainment for your special day. We believe in connecting with the wedding guests after our performance and will meet everybody and pose for pictures, which is a highlight of the day for us. 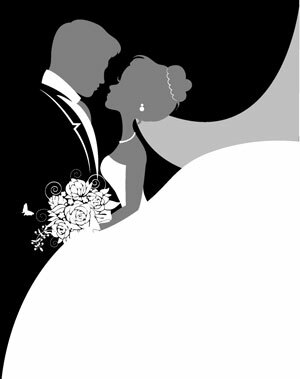 If you are planning your special day, give us a call before you decide. We would love to discuss your entertainment plans with you. Tks a mil 4 everyting. Ye made the day even extra special, the whole of Kenmare are still talkin about crystal swing. oh! and the wedding! Outstanding. If ye are ever passing I'd love to meet ye again. Long may yere success continue, ye are amazing people. Tomas & Michelle !!! Hi Mary and all the Burkes, just wanted to say thank you so much for a fantastic night on Saturday. Ye were brilliant and everyone had a ball. Ye made the wedding. Best of luck and thanks again. Declan and Julie, Co. Cork. The icing on the cake was having ye guys play for our wedding in April. The floor was packed from the word go. The variety of songs were spot on and as you'd promised ye had something for everyone. Our families are still talking about ye. They loved it. I'd strongly reccomend ye and thanks again for making our wedding day the best day of our lives.